hi igoress_be, how are your level acknowledgement about blip ? What are channel you using ? Blip Chat , Whatsapp , facebook etc ? basically all actions , i mean ,web view or web link done in the Blip Chat you have to put a link web to user like this. 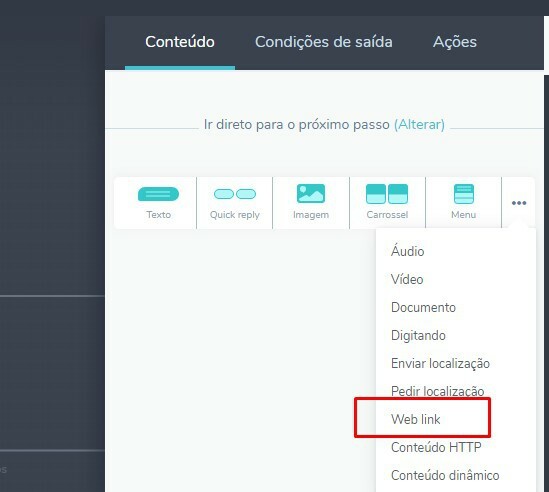 2º Put your web link, Title, subtitle and finally put the link and check to save and confirm the changes. 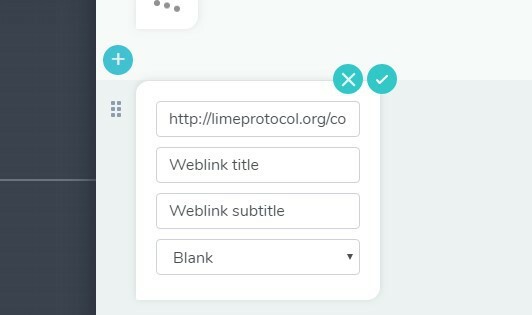 Webview is a feature on the messenger platform that allows you to display a web page in the chatbot. I am not trying to insert a link in the chatbot but rather to display the link in the chatbot. If you want to see pages like google, youtube and facebook so you need to use WebLink content, as @Daniel-Gomes says. Can you give me an example more detailed about this?